Former assassin Rachel Hael has rejoined the blood-magician Mina Greene and her devious little dog Basilis on one last desperate mission to save the world from the grip of Hell. Carried in the jaw of a debased angel, they rush to the final defensive stronghold of the god of clocks – pursued all the while by the twelve arconites, the great iron-and-bone automatons controlled by King Menoa, the lord of the maze. 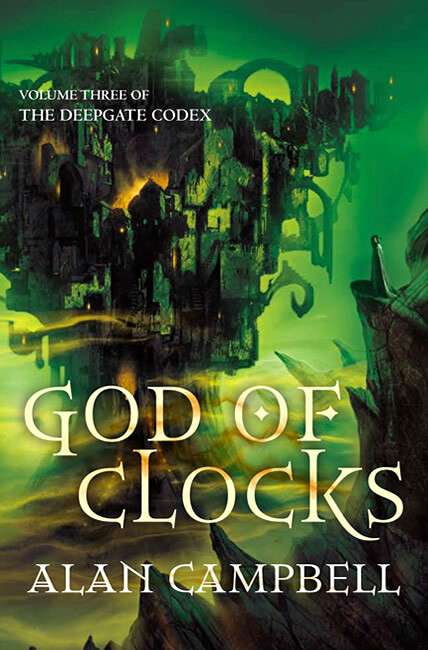 … God of Clocks is another very entertaining book in a very entertaining fantasy series, one I would recommend just for its incredibile creativity. 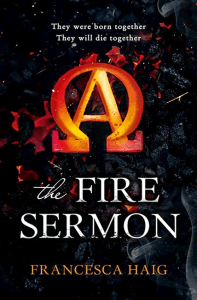 It’s a blisteringly good read, baroquely imagined, and full of high-concept ideas. 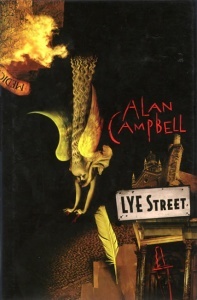 If it were ever to transform to the wide screen, you would need a director that combined Peter Jackson’s scale with Terry Gilliam’s surrealism… Finishing God Of Clocks I was left in the delicious dilemma of wanting Campbell to write more about his invented world or just invent a wholly new one instead. 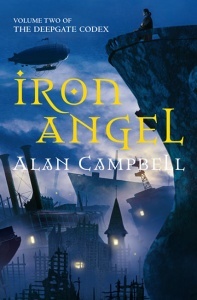 Campbell has achieved many impressive feats here beyond merely seeing through his publishing obligations in a timely fashion. 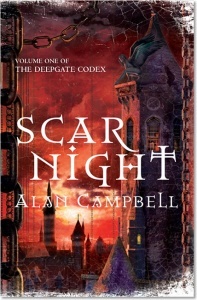 He has written the fantasy equivalent of New Space Opera; widescreen baroque, indeed. 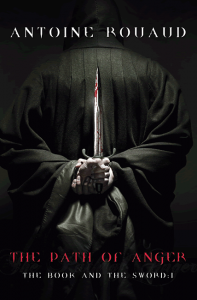 He has produced a series infused with gothic imagery but devoid of po-faced goth sensibility. He has populated it with cartoonish characters which the reader is nonetheless able to feel a great deal of affection for. Above all else he has achieved the holy grail of producing a novel that is unadulterated fun, a book that was written as entertainment and is unremittingly entertaining. A lot of other writers could take note. Mid-green cover with gold coloured text on spine, white endpapers.